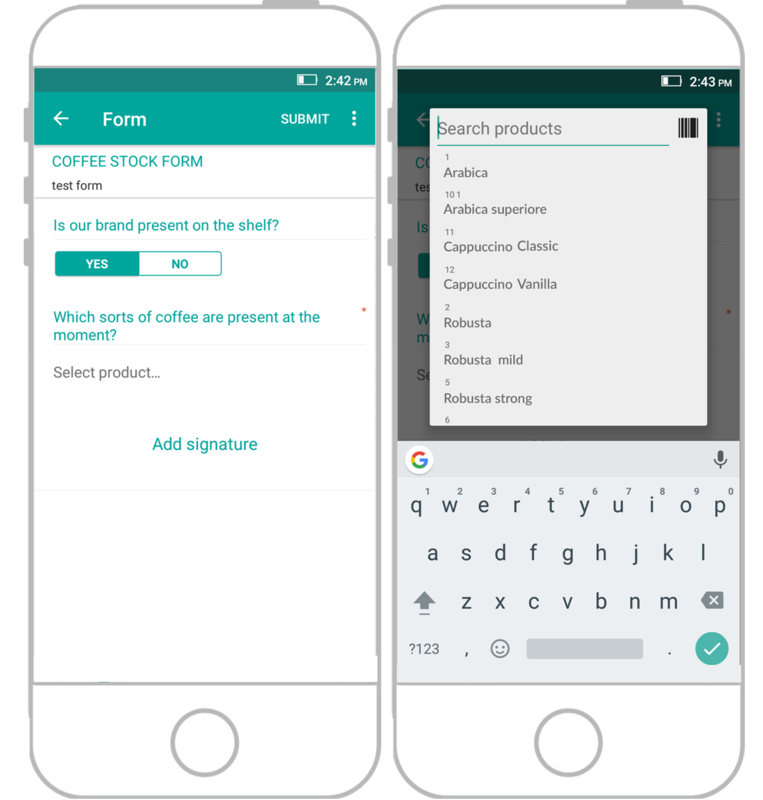 To help you capture more information through your mobile forms, we've implemented Products as a question type. Now all of your products in Repsly are instantly accessible as an 'answer' to a particular question/survey so you can be sure exactly which products are performing best. What is the Difference between the (Product Icon) and the (Bar-code Icon) question types?